OK. So money has microbes on it. Not surprising. And when people find out such information they frequently go overboard in the germophobia. Thus I confess I read with trepidation that there is some sort of new study out on microbes on money. I first became aware of this from news articles that seem a lot like the ones above – infected with germophobia. So I decided to try and track down the details of the story. A lot of the reporting appears to come from a press release about a new paper. Combining the clinically important antibiotic-resistance genes with the high dissemination potential suggests currency could possibly pose a health risk. Currency is possibly one of the main media transmitting pathogens and drug resistance due to its wide circulation in daily life. 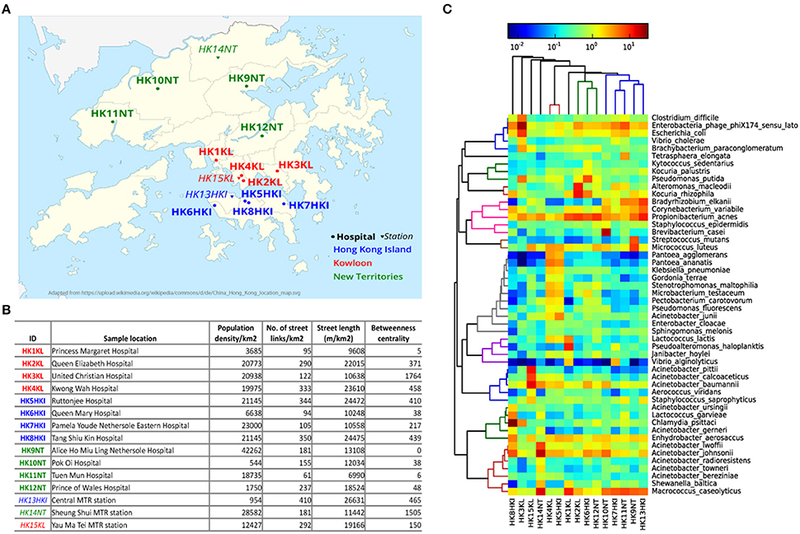 In this study, we made a comprehensive characterization of the bacterial community present on banknotes collected from different geographical regions of Hong Kong (HK) by performing in vitro characterization of the bacterial presence and resistome profile, as well as metagenomic analysis including microbial diversity, the prevalence of potential pathogens, the dissemination potential of antibiotic resistance genes, among others. 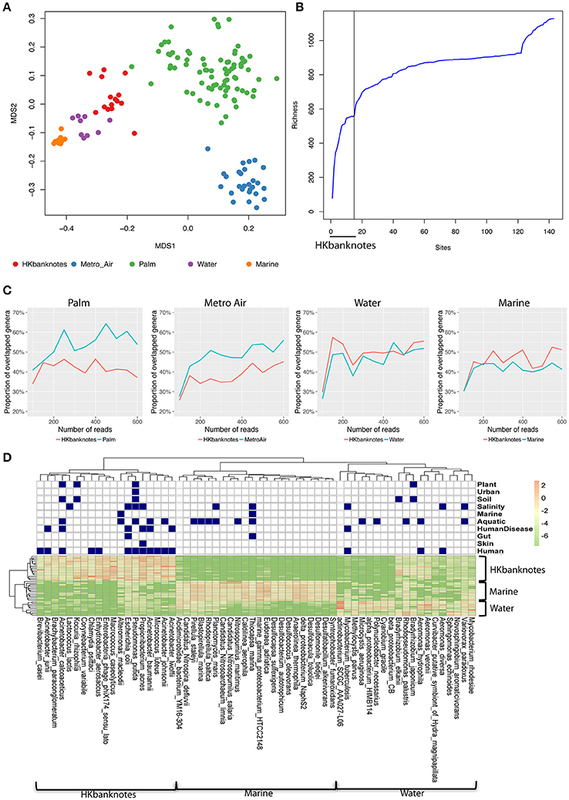 When comparing the bacterial community of HK banknotes with other HK environmental samples, including water and marine sediment, we revealed that HK banknotes cover nearly 50% of total genera found in all the environmental samples, implying that banknotes harbor diverse bacteria originated from a variety of environments. Furthermore, the banknotes have higher abundance of potential pathogenic species (~5 times more) and antibiotic resistance genes (~5 times more) with higher dissemination potential (~48 times more) compared with other environmental samples. These findings unveiled the capabilities of this common medium of exchange to accommodate various bacteria, and transmit pathogens and antibiotic resistance. Furthermore, the observed independence of microbiome profile from the city’s topological indices led us to formulate a hypothesis that due to their high circulation banknotes may harbor a homogenized microbiome. It is an interesting paper with some useful data and analysis in it. For example, they looked at the microbial communities on various bank notes from Hong Kong. And they compared what was on the notes to other “local” microbial communities. And they did a variety of other analyses. Much of it is pretty interesting, including some examination of putative antibiotic resistance genes. And the paper seems reasonably well laid out and not overblown in the discussion. Honestly, on first glance it seems interesting and useful and worth a look. But it is important to note (pun intended) that they do not study how if at all any of these bank notes contribute to the spread of infectious disease or antibiotic resistance. They simply have measures and inferences about the relative abundance of different kinds of microbes and microbial genes on the notes and correlations to various features. And I personally believe this information is interesting and useful in getting an understanding of microbial communities in the human ecosystem. But it is definitely NOT a direct measurement of any type of risk associated with money and should be viewed with caution from that point of view. So the press release and the news stories are, well, a bit overblown.